My Ambiance Life: Dear Diary…. Did you ever keep a diary? A diary is one of those journaling techniques from the ‘70s and ‘80s, and I personally never caught on writing in one. One of the most famous scenes in television history, is when Marcia caught Cindy snooping in her diary. This was from the Brady Bunch. 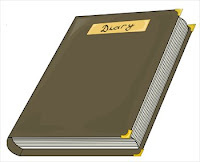 In fact, Marcia had two crisis in regards to her diary. There was an earlier episode, where Cindy gave Marcia’s diary to a book reseller by mistake. Marcia was upset that everyone in the world would find out that she was madly in love with Desi Arnez Jr. The diary was found, and Marcia show the entry to him. As for the later episode, Marcia wrote in her diary that a famous talent agent was coming into town, and Cindy would be great as the next Shirley Temple. Marcia was actually trying to stop Cindy from snooping. It turned out that the woman visiting the Brady household was a client of Mike’s. as a diary. I think of diaries as more of a look into the personal window into a young girl’s heart and soul. The most famous of diaries is not of fiction (like the two Brady Bunch episodes), but of a real life depiction on what life was like for a young Jewish girl, and her recounts of hiding from the Nazis. I am talking about Anne Frank. It was not just about her, her family, and the Van Petz Family (Van Daan in the book according to Wikipedia), and how they got along during the day, when they were quiet, but it was how she saw the world from that tiny little window. Shortly after The Netherlands was liberated from Nazis Germany, Anne’s father, Otto Frank returned to that home away from home, and found her diary, and had it published. He wanted the world to know what a brave daughter he had before she died in the concentration camps. You do not have to be a famous person to keep a diary or journal. Just start writing. Write about your day, your feelings, or it can be something specific, such as a food diary, or a project journal. Talk about your feelings, if you are becoming a mother for the first time, and you want your child to know about the things in life that matter. These are some ideas. Where you keep them is up to you as well: You can just grab a notebook and start writing. I use MS Word to write in my journal. 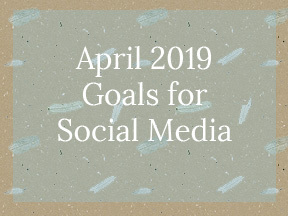 If you want to go public, turn your journaling into a blog. Journaling or writing in a diary is one of the few forms of writing, where there are no rules. Have spelling mistakes, but do not make it a habit, or it can spill over into your other pieces of writing. Free form your writing. Grammar is also a must, but a grammar mistake every now and then does not hurt. So what does freedom mean to you?